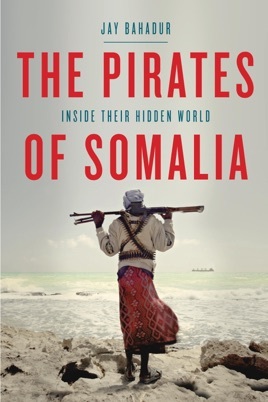 The inner workings of the world of Somali pirates are astutely explored by Bahadur, a journalist who embedded himself among them to detail how "a level of international naval cooperation unprecedented in human history has been unable to stop a motley assortment of half-starved brigands armed with aging assault rifles and the odd grenade launcher." It's an engaging account, full of solid analysis about the collapse of Somalia and the tight-knit clan and subclan networks that keep a failed state from dissolving into complete anarchy while fostering conditions ideally suited to ocean-going criminality. Few other economic options exist for young men along this harsh coastline, largely because of abusive fishing practices by foreign trawler fleets. The institutionalization of these hijackings has created an economic order among the pirates not unlike other forms of organized crime. Coupled with the widespread addiction to the narcotic herb khat, conditions for wiping out piracy may be impossible to achieve. Still Bahadur's interviews with the pirates reveal that they rarely relish criminality; it's genuine desperation that motivates them. What's especially impressive (aside from Bahadur's sheer nerve in insinuating himself among these dangerous men in a lawless corner of the world) is the amassing of multiple perspectives of pirates and policymakers that support a rich, suspenseful account.